Even people without a serious garden have probably tried growing chives at some point in their lives. 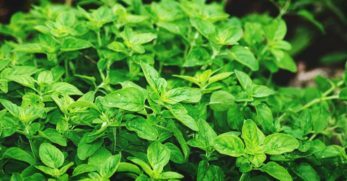 It’s one of the most common garden herbs out there, probably because it’s so easy to grow. 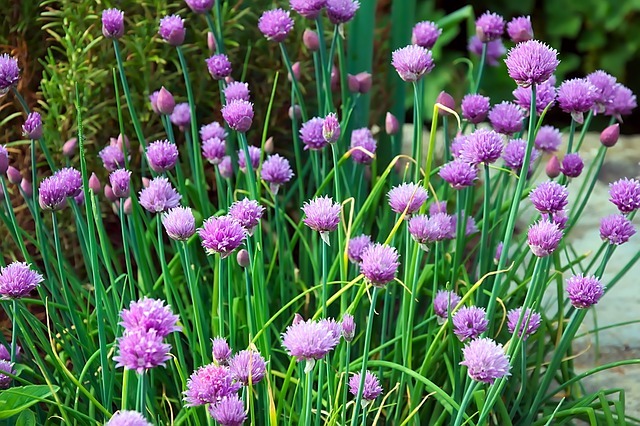 Chives are in the allium family and feature grass-like foliage topped with purple, pink or white blooms. It’s a perennial, which means there’s no need to re-plant every year. 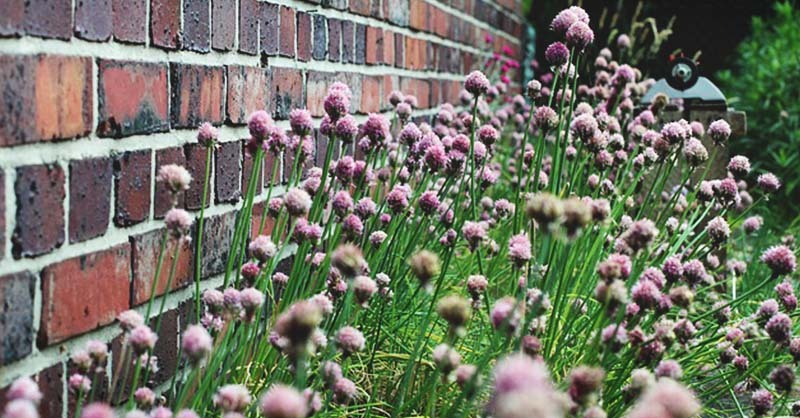 Chives are about as low-maintenance as you can get in the plant world. You can grow them indoors or outside, and they’re happy pretty much anywhere. I’ve grown chives ever since I started gardening. 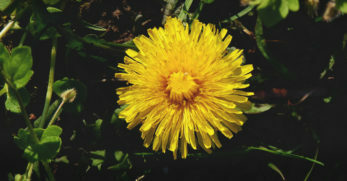 The plant is easy to find at garden centers and once established stays around without much trouble. I never enjoyed cooking as a kid. I used to tell my mother that I’d never make myself food as a grown up. I’d find a spouse to do it for me. Fast forward to today and I’m the main chef in my household. 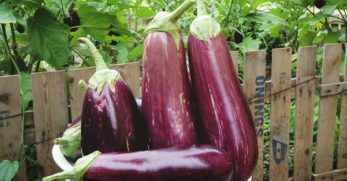 When I began gardening, I was starting to become interested in the culinary arts. 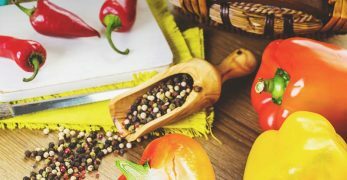 I’d cooked before out of necessity and while helping my mom in the kitchen, but it wasn’t until I grew herbs that I really understood the depth of flavor that fresh produce and plants can impart on homemade food. Chives are no exception. The small little leaves certainly pack a punch. Chives are easy to plant, grow, and harvest, which makes them the perfect addition to a culinary herb garden. Chives add a delicious hint of onion or garlic flavor — depending on the variety — to your cooking and work well in a slew of dishes. Nira – Nira is a flat leaf chive variety with a garlicky aroma. The flavor is milder than other garlic chive types. Chinese chives –These are garlic chives that are cold hardy. Lions Mane – Another garlic chive variety with flat, broad leaves and white flowers. 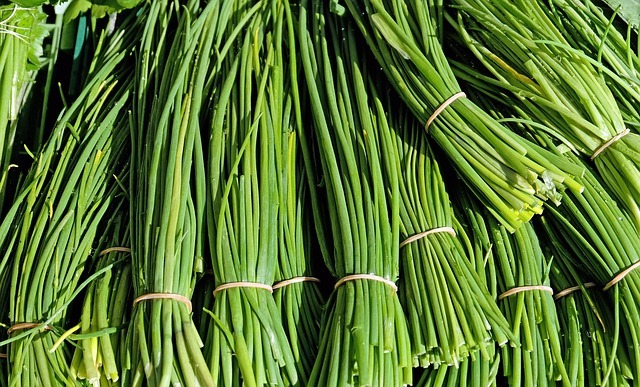 Grolau chives – this Swiss variety is ideal for growing indoors. 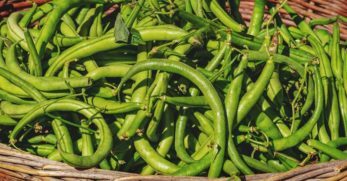 It has a strong flavor and thick leaves that aren't prone to going leggy. Giant Siberian chives – This large variety is as pretty as it is tasty. 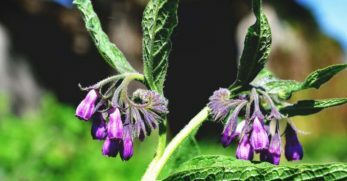 It has blue-green foliage and pale pink flowers. 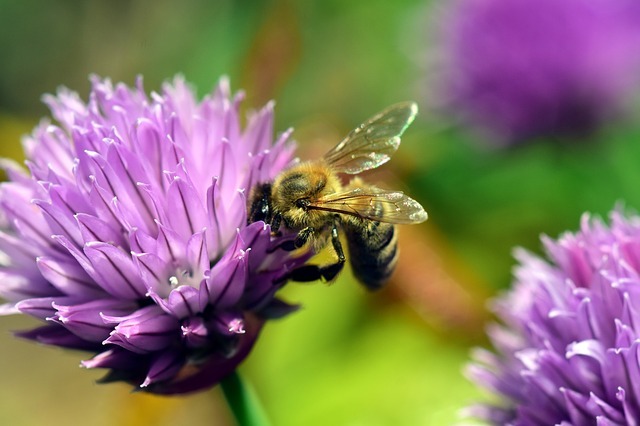 Chives are perennial in zones 3-10, so the plant will return each year in the spring good as new and ready to eat. They are cold hardy, and they prefer full sun to part shade. Chives should be planted in a spot with fertile, loamy soil and a pH between 6.0-7.0. If you don't have naturally rich soil, amend your earth with compost and fertilizer. Start chives indoors, about 6-8 weeks before the last frost. Like many herbs, chives are slow growing, so starting early is critical. You can also direct sow chives once the soil has warmed. 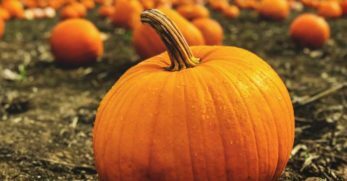 Make sure to sow seeds shallowly at about one-fourth inch. Harden off for a week before transplanting. Put seedlings outdoors when soil temps are between 60-70°F and seedlings are about 4 weeks old. If you’ve purchased a plant from a local nursery, transplant in the spring once the soil can be worked and has warmed. Add a bit of compost to the hole and carefully insert the plant, covering up the roots with dirt. Space plants 4-6 inches apart. 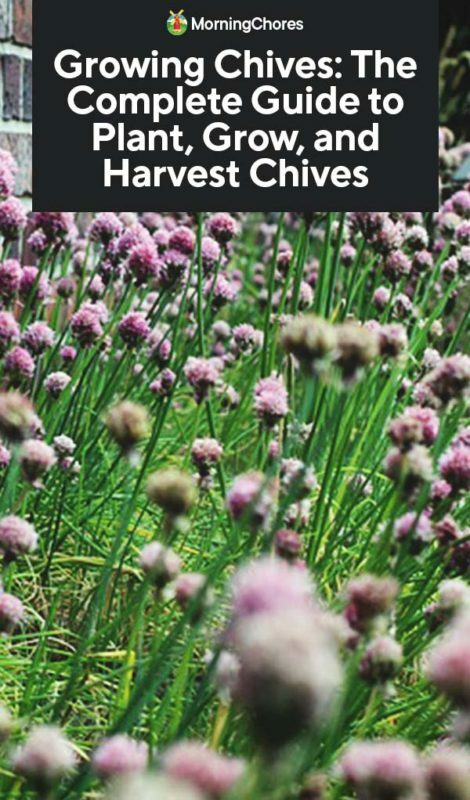 You can succeed in growing chives in raised beds, directly in the ground, or in pots. You can even keep a chive plant in your kitchen and harvest as needed, but I recommend outdoor planting since chives are perennial. Chives are a low maintenance plant, but they do spread. Keep an eye on your plant and remove blooms to prevent re-seeding if you want to keep the plant in check. I once stumbled upon a home that featured chives as a border plant. The result was lovely. The mix of subtle purple and white blossoms were the perfect choice for a soft trim along the driveway. I suspect that the homeowner had to control the spread of the plant, though, to keep things looking neat. Regular watering is necessary for this allium family plant. 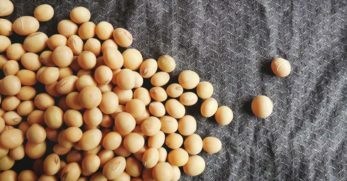 Provide about 1-inch of moisture per week. Use mulch to suppress weed growth around your chives. Mulch also helps conserve moisture. Fertilize in late spring/early summer with high nitrogen fertilizer. I always recommend testing your soil before feeding. There’s no need to prune this herb, but you should divide chives every few years to encourage growth. Once you divide the plant, share it with friends and family. Trim the flowers after blossoming if you want to keep the plant from getting leggy. This also prevents the seeds from spreading. As a bonus, you can eat the deadheaded blossoms. Chives are relatively problem-free, but let’s cover the possibilities for trouble so can feel confident growing this delicious herb. The plant seems small – You need to be patient. Chives take time to become established. 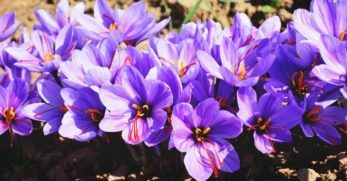 Whether you’re growing indoors or outside, your little starter plant will take some time to clump up and become a fixture in its pot or garden area. 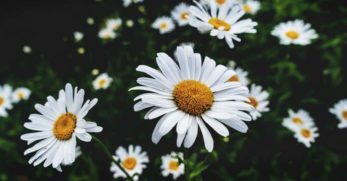 Doesn’t return the following year – It’s either not perennial in your growing zone or something killed off your plant. 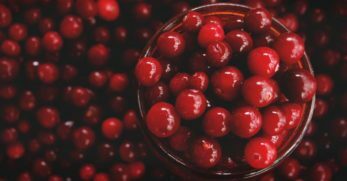 The culprit could be a number of things from pests to disease. 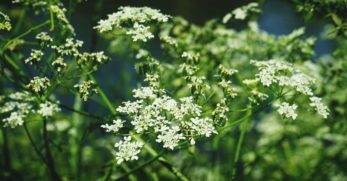 Slow growing – It’s normal. Most herbs are slow growing. Each year your chives will grow bigger, and you’ll have more to harvest. 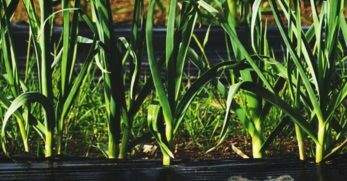 Spreads to other areas of the garden – This is bound to happen, unfortunately, but thankfully chives aren’t as aggressive as some other garden plants. The first step is selecting the proper location for your chive plant so that your herb doesn’t infringe on anything delicate nearby. Here are a few diseases that may affect chive plants. 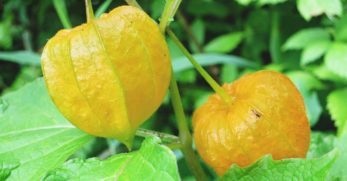 These diseases are also capable of infecting other plants in your garden. It’s usually a good idea to remove diseased plant material to prevent spread to other plants. The first sign of this fungal infection is white coated leaves. 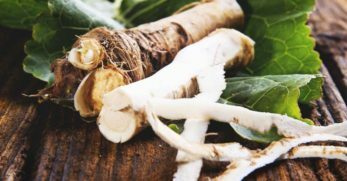 Once an infection has taken over your plant, get rid of it. You can also control the spread by using a fungicide. 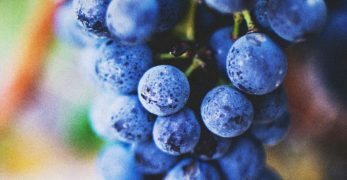 Avoid mildew by picking disease-resistant varieties. Space plants properly to encourage proper air circulation and to prevent overly humid conditions. Rust-colored spotting on leaves is caused by a fungal infection. The disease is caused by humid conditions resulting from poor drainage or over-watering. Get rid of affected plants and make sure you avoid watering from overhead in the future. Noticeable marks on leaves are caused by fungi. Fungicide can be used to control the spread of diseases, but consider getting rid of infected plants. Bulb rot is caused by over-watering or if your plant is in poorly draining soil. 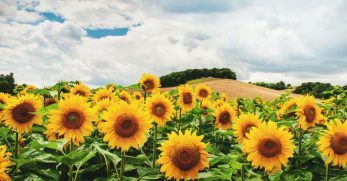 You may notice yellowed leaves and stunted growth. Bulb rot may be caused by a number of pathogens. These are tiny insects that feed on foliage and are capable of spreading illness. Get rid of them by placing sticky traps or diatomaceous earth around your plants. A strong jet of water may also do the trick. 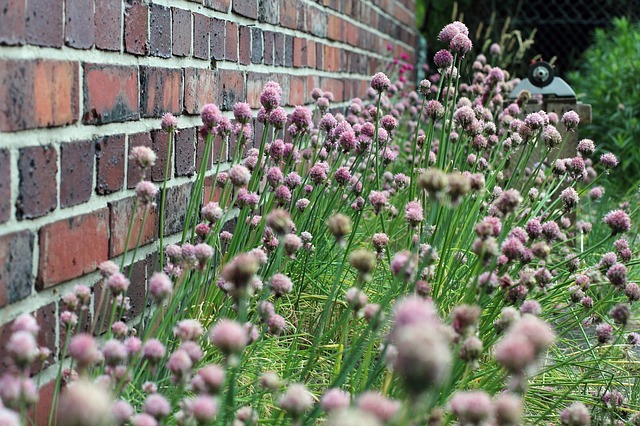 Chives are a great companion for a host of plants since the strong smell repels pests. 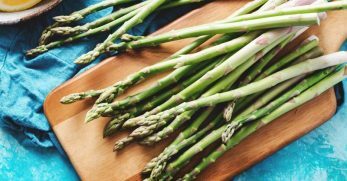 Chives are said to improve the flavor of certain vegetables, but there’s little more than anecdotal evidence that this is indeed true. You can harvest chives at any time, but it’s best to wait until the plant is well established before harvesting. In the first year of growth, this will typically be in the late summer. 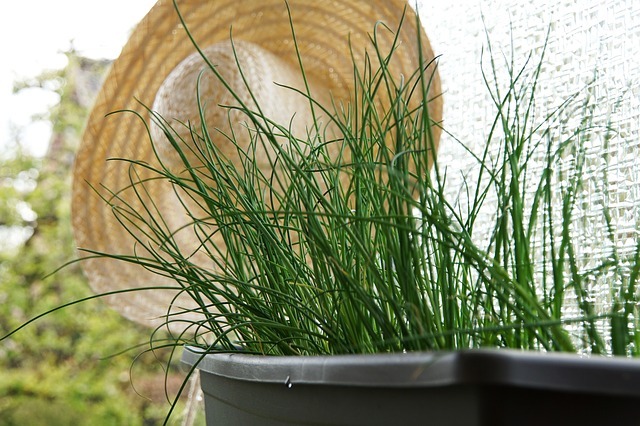 Harvest chives by cutting off the top half of the plant. 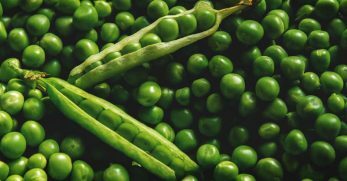 You may eat the green portion and the flowers once they bloom in the late spring. You can also cut small pieces of chives as needed throughout the season. Freeze large batches of chive stems or use a dehydrator to dry out this herb. 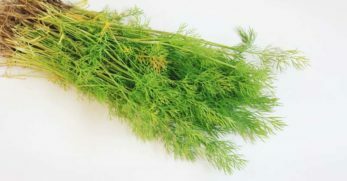 Remember that dried herbs lack the pungent flavor of fresh herbs. I’m a fan of clipping chives to use in breakfast dishes like scrambled eggs or potato pancakes. Chives are also great added to salads and make a vibrant garnish for soups and stews. How do you like them best?